Singer, songwriter and actress Doxi Jones hits the red carpet with on-camera personality Makho Ndlovu for a yellow dress showdown (!) at the VIVMagnificent Woman Shop for a Cause event. 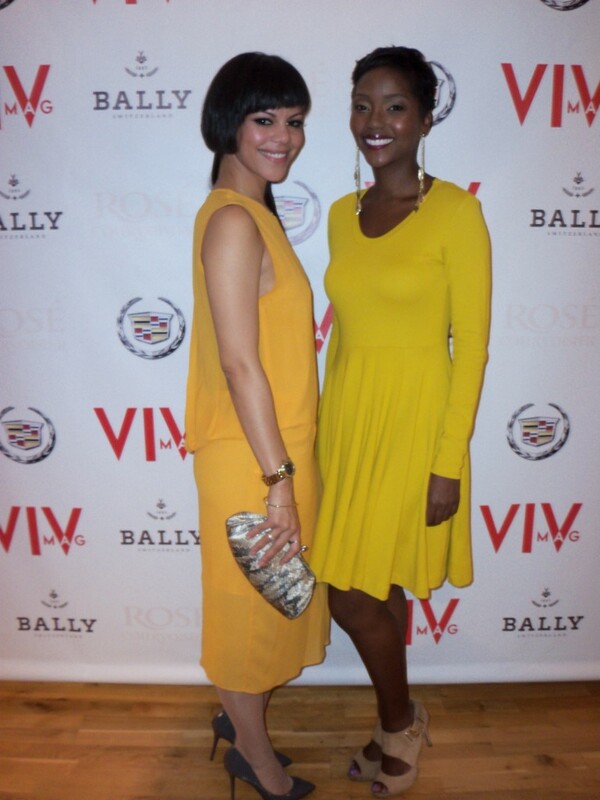 The event was co-sponsored by VIVmag, Cadillac and Courvoisier rosé. It was held at the Bally store on Madison Ave.